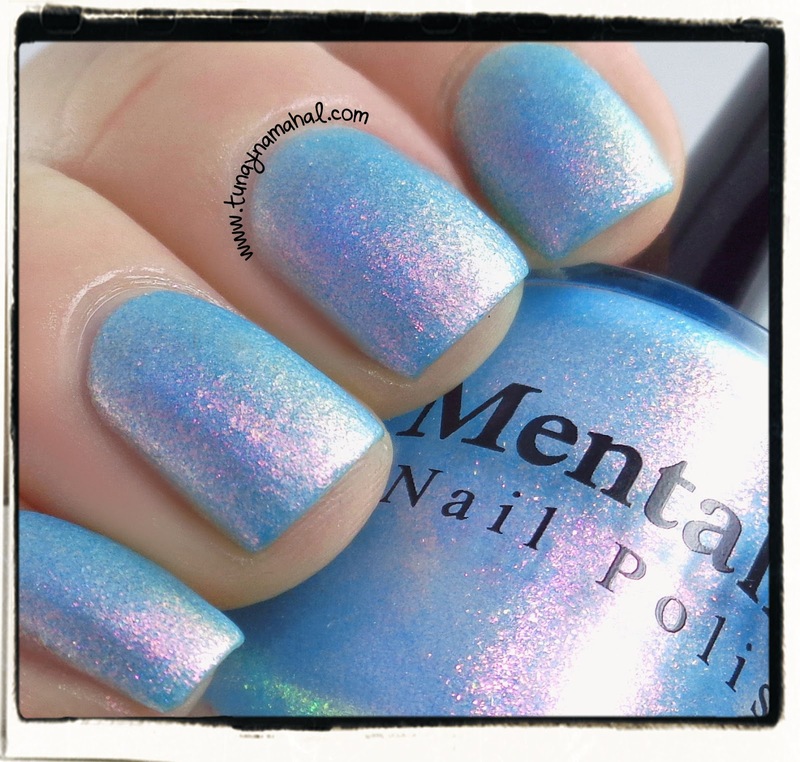 DO NOT purchase Mentality Nail Polish: See Why, Here! Article: LabMuffin What's to Blame for The Mentality Nail Polish Problems? If you would like an safer alternative to Mentality Nail Polish 'Gala', Model's Own Indian Ocean works perfectly! Just layer two coats over a turquoise base (I used Zoya Rocky below), and top with a matte topcoat. 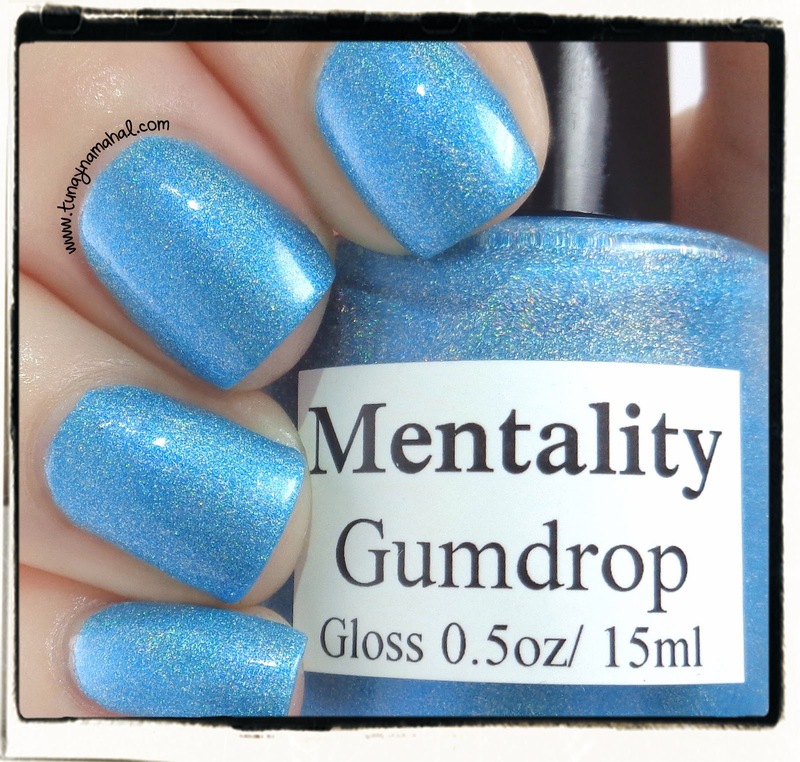 During Mentality Nail Polishes Black Friday sale, I picked up Gala, and Gumdrop. I've heard really great things about the Mentality brand so I was excited to finally try it out for myself, and I was not disappointed! 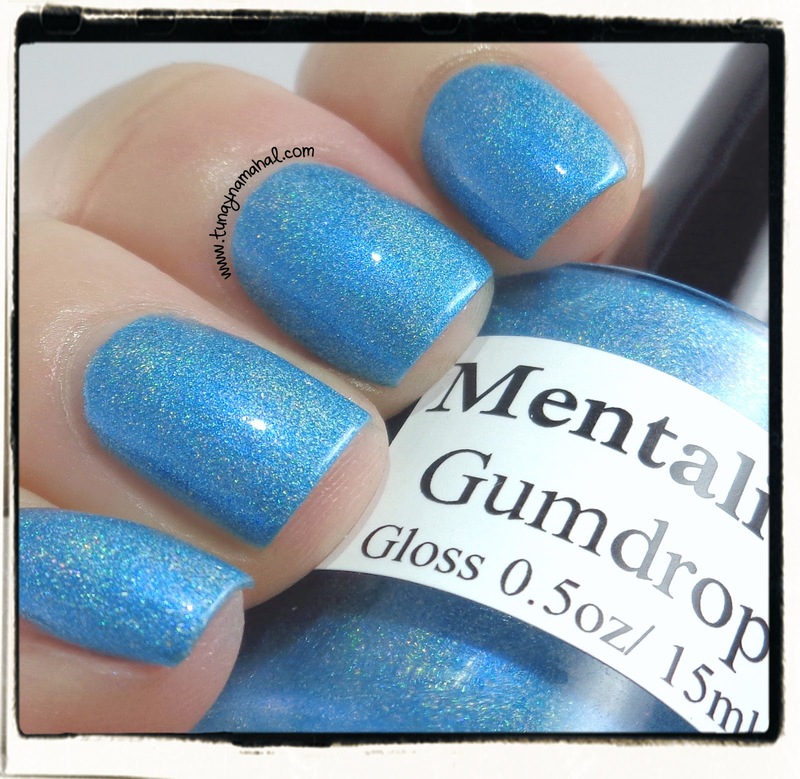 Gumdrop: is a blue jelly holographic nail polish. Three coats, plus Seche Vite topcoat. 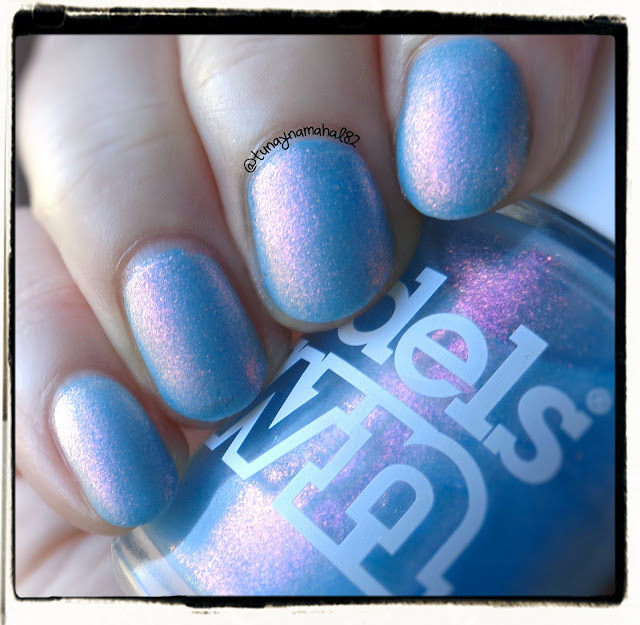 Not the most rainbow-y holo I've seen, but it's still a really gorgeous polish.